The Committee considered negotiating mandates on the Medicines and Related Substances Amendment Bill from provinces. The Free State Province handed in its negotiating mandate during proceedings. All nine provinces voted in favour of the Bill. Eight of the nine provinces proposed amendments to the Bill with Mpumalanga Province being the exception. The National Department of Health (NDoH) provided both written and oral responses to the proposed amendments made by the provinces. An issue raised by various provinces was that of traditional medicines. The NDoH had discussed the matter and road shows were taking place to get public participation so that traditional medicines could be regulated. Working documents explained why traditional medicines needed a separate system of regulation. The NDoH brought documentation that was handed out to members after the meeting. Legal teams both from the NDoH and Parliament would make the necessary technical and other changes to the Bill as was required, which would give rise to a new C-version of the Bill. The Committee would finalise the Bill on 13 October 2015. The Chairperson thanked the National Department of Health for the support that it had provided throughout provinces on public hearings on the Medicines and Related Substances Amendment Bill. The Committee would deal with the negotiating mandates from the provinces on the Bill in the present meeting, and would finalise the Bill on the 13 October 2015. She asked whether mMembers had read their respective provincial reports on the outcomes of public hearings in their provinces. Members assured the Chairperson that they were aware of the outcomes and inputs made during public hearings in their respective provinces. Dr Barbara Loots Parliamentary Law Adviser, noted that the Constitutional Court had said that Members had to read reports on the outcomes of public hearings on bills as it would give them an idea of what had transpired during public hearings. The Committee proceeded to deal with negotiating mandates from the provinces. Ms P Mququ (ANC, Eastern Cape) said that the Province was in favour of the Bill within certain parameters. Some of the issues raised in the province were that the regulatory criteria for medicines and medical devices should be different and not the same. The Bill did not provide for this. It was noted that having uniform regulatory criteria would lead to unintended consequences. In Clause 12 there was also the assumption that medical devices and in vitro diagnostics (IVDs) were dispensed like prescription medicines. No mention was made in the Bill about medical devices and IVDs for research purposes. It was felt that the term “public interest” in Clause 9 was too broad. The proposal was made that there should be a separate register for medicines and for medical devices/IVDs. A suggestion was also made that the South African Health Products Regulatory Authority (SAHPRA) should have branches in the provinces. It was furthermore felt that the Bill needed to stipulate the turnaround times for applications for registration. The Province felt that SAHPRA should have a more interactive website. Ms B Masango (DA, Gauteng) stated that the Province supported the principle and detail of the Bill with proposed amendments. Ms L Zwane (ANC, KZN) said the Province supported the Bill with proposed amendments and concerns raised. Mr S Thobejane (ANC, Limpopo) said the Province voted in favour of the Bill with proposed amendments. Ms L Zwane (ANC, KZN) read the negotiating mandate of the Province on behalf of the Chairperson. The Mpumalanga Province voted in favour of the Bill without any proposed amendments. Mr D Stock (ANC, Northern Cape) stated that the Province supported the Bill with proposed amendments. Ms T Mpambo-Sibhukwana (DA, Western Cape) read the negotiating mandate of the Province in the absence of Mr H Groenewald (DA, North West). The Province was in favour of the Bill with proposed amendments. One of the proposals was that the Board of SAHPRA should have representatives from all provinces. Ms Mpambo-Sibhukwana said that the Province was in favour of the Bill with proposed amendments. The Chairperson said the Free State Province was finalising its negotiating mandate on the Bill as she was speaking; it would be presented to the Committee as soon as it was available. In the meantime the NDoH would be given an opportunity to respond to the inputs made on the Bill. Ms Malebona Matsoso, Director General of the NdoH, said that the issue of traditional medicines had been raised in various provinces. The NDoH had discussed the matter and road shows were taking place to get public participation so that traditional medicines could be regulated. Working documents explained why traditional medicines needed its own system, and would be handed out to members after the meeting. The Chairperson said the Committee needed a dedicated briefing on traditional medicines and the efforts of the NDoH in this regard. The Free State Province negotiating mandate was ready to be presented to the Committee. Mr M Khawula (IFP, KwaZulu-Natal) ,in the absence of a permanent delegate from the Province, read out the negotiating mandate. The Free State Province voted in favour of the Bill with proposed amendments. 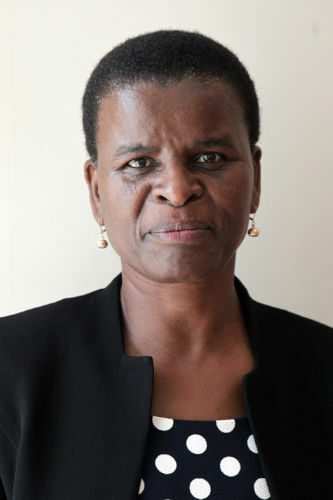 Ms Matsoso said that the NDoH had compiled a document that was a summary of responses to inputs made by Gauteng, Western Cape, KwaZulu-Natal, North West and Mpumalanga Provinces. At the time of the document’s compiling the NDoH had not had the negotiating mandates and inputs made by all nine provinces. Dr Joey Gouws, Registrar of the Medicines Control Council (MCC) and Director of Inspectorate and Law Enforcement in the NDoH presented the NDoH’s responses to inputs made. Concern had been raised over what measures were in place to ensure compliance where medicines were being sold without a licence and where there was resistance to be licensed. Ms Gouws said the Medicines Act sections 29 (offences) and 30 (penalties) covered it. The proposal was also made that traditional medicine should be integrated into the Bill and that there should be intensive research on it. She responded that African traditional medicines prescribed by a traditional leader would be controlled in terms of the Traditional Health Practitioners Act, Act 22 of 2007, which intended to regulate the product, the practitioner and the practise of traditional healers. Medicines containing African traditional ingredients sold for commercial purposes would be subject to the Medicines Act for registration. The suggestion had furthermore been made that addictive medication, which was not covered by the Bill, had to be regulated. She explained that narcotic medication that may be regarded as addictive medicines were already controlled as Schedule 6 or Specified Schedule 5 medicine in terms of the Medicines Act. The Province suggested that cheap acne and pimple creams sold on the streets needed to be regulated by the Bill. The response given was that the Medicines Act prohibited the sale of any medicines on the streets. Communities sometimes regarded acne and pimple creams as cosmetics. The Cosmetic Act however prohibited certain substances such as mercury or hydroquinone to be included in cosmetics. The Medicines Act in certain Schedules classified medicines containing Hydroquinone. The lack of implementation of all Medical Acts and the shortage of medication at most health establishments were serious concerns of the Province. Unfortunately the Medicine Act could not address the shortage of medicines. Shortage of medicines could be for a variety of reasons related to a manufacturer. The NDoH was also asked what it did about the side effects that medications had. The Medicines Act required manufacturers to report any side effects to the Medicines Control Council (MCC). Depending on the side effects the MCC could cancel the registration of medicines, may add additional warnings to its labelling or may limit its use to certain patients. Ms Gouws said the NDoH noted the technical changes suggested and legal advice would be obtained regarding it. The Province raised a concern that the Bill had initially been published in 2012 whereupon comments were made on it and substantial changes were effected to the Bill. The substantially changed Bill had not been published for comment and the Province was concerned that there may have been inadequate opportunity for public comment on that version of the Bill. The Bill had been published in February 2014 and public hearings on it had been held in October and November of 2015 where inputs were received from eighteen stakeholders. The NDoH was of the view that the there had been sufficient opportunity for comment on the Bill and that the amendments made to it were not substantial but were of a technical nature and of a clarity seeking nature. A further concern raised by the Province was that medical devices and IVDs were not registered in SA. The registration of these devices was of utmost importance for patient safety. She explained that the MCC had published five sets of guidelines on medical devices and IVDs. There would be a staggered review of medical devices and IVDs based on a risk approach. The proposed regulations and guidelines would address the regulatory oversight of medical devices and IVDs. Concern had furthermore been raised over the budgeting and staffing of the SAHPRA and the potential financial impact that there could be on the provincial budget allocation. The MCC currently was receiving a budget from National Treasury. The NDoH had also been collecting fees for the registration and regulatory oversight of medicines since 2003. The fees were being transferred to National Treasury. The proposed budget of the SAHPRA would call for the ring fencing of the fees and the annual budget process. There was thus no impact on provincial budget allocations. The Province raised the concern that the definition of an “inspector” was not specific enough about what the qualifications of an inspector should be. The qualifications of inspectors were dealt with by the NDoH’s human resources policy and hence there were processes in place. Ms Gouws pointed out that the work of inspectors was quite wide. The Province suggested that if “cosmetic” and foodstuff” were to be deleted from the Bill it could only mean that it should be regulated under the Foodstuffs, Cosmetics and Disinfectants Act 54 of 1972. The NDoH’s response was that cosmetics and foodstuffs had always been regulated in terms of Act 54 of 1972. The proposal was also made by the Province that traditional medicine; supplementary medicine, complementary medicine and alternative medicines should be covered under the definition of “medicine” in the Bill. African traditional medicines would be regulated in terms of the Traditional Health Practitioners Act of 2007 with complementary and alternative medicine to be regulated in terms of the Medicines Act. The definition of complementary medicine was included in the regulations to the Medicines Act. It was also felt that the Board of SAHPRA needed to have someone with expertise in traditional healing. The African Traditional Health Practitioners Act of 2007 would regulate the traditional healer, the practice of the traditional healer, the product/medicine that the traditional healer would prescribe and the conduct of the traditional healer. The Province was of the view that the Minister should be able to dismiss a member of the Board without dissolving the Board. The NDoH confirmed that the Minister did have the power to dismiss a member of the Board without dissolving it. The NDoH also conceded that it had omitted to delete “Food Directorate” from Clause 26(3). The omission would be corrected. The NDoH noted the suggestion by the Province that the role of local authorities should be considered in the Bill. The Province suggested that religious groups and traditional healers form part of the SAHPRA Board. The NDoH responded that religious groups and traditional healers would be addressed in the African Traditional Health Practitioners Act of 2007. The view of the Province was that the Board of the SAHPRA should be comprised of members from all provinces. Ms Gouws explained that the Board was responsible exclusively for the governance of the SAHPRA. A proposal was also made that traditional medicines should be regulated, controlled and tested by the NDoH. The NDoH’s response was that African traditional medicines prescribed by an African traditional healer would be controlled in terms of the proposed Traditional Health Practitioners Act. However medicines containing African traditional ingredients sold for commercial purposes would be subjected to the Medicines Act for registration. The Province felt that a portion of the SAHPRA’s licensing fees should be retained by it to ensure self-sustainability. The fees collected by the SAHPRA would be retained as per the proposed business model of the SAHPRA with the additional funding from National Treasury being used to cover the deficit to run the regulatory authority. Ms Matsoso said that the NDoH welcomed the negotiating mandate from the Province. Comments made were welcomed and that technical corrections suggested would be considered. In general most of the comments made around SAHPRA were already covered. Ms Matsoso, on the issue of traditional medicine intellectual property, said that the Department of Science had a mechanism to deal with it. On benefit sharing the Department of Science also already had a document that covered the issue. The NDoH noted the point that the SAHPRA should play a greater part in educating the public on medicines and on traditional medicines. The point made about medicine package inserts having to be in all of SA’s eleven official languages would be taken on board. Comments made about the enforcement capacity of the SAHPRA were also welcomed. Ms Matsoso said that the comments around the inconsistencies in the use of the terms “human” and “animal” medicines would be looked at. Issues around product versus scheduled substances and product versus medicine would also be looked at. Inputs made around the composition of the SAHPRA Board would also be looked at. Ms Matsoso stated that the issues raised about the objects of the Bill, the insertion of compliance provisions and around the functions of the regulating authority were already covered and provided for. The promotion of the safe use of medicines would be looked at. The NDoH did periodic re-evaluations every five years which was much more feasible. The suggested regular review by the Province would have to be done annually which would not be too feasible. The principle Act covered the matter of Board meetings of the regulating authority. Prof Shabir Banoo, MCC Council Member, spoke to the regulation of medical devices. Specific consideration had been given on the use of words on medicines and medical devices in terms of registration and vigilance etc. There was agreement on how medical devices and IVDs were to be regulated versus how medicines were to be regulated. Cue was often taken from world practises, which from time to time changed. It was therefore considered best to cover it in regulations and guidelines. He agreed that medical devices and IVDs versus medicines were fundamentally different. Medical devices and medicines were dispensed in terms of different frameworks. The framework on medical devices had categorisation that was based on risk. Some medical devices would perhaps require oversight on its use. Medical devices may also contain active pharmaceutical ingredients for example morphine pumps. There was therefore some control in that a morphine tablet was considered a Schedule 6 substance. He also responded to the issue of medical devices and IVDs for research purposes and whether there should be conditions and criteria for unregistered devices. There were regulations that outlined a framework for research. Clause 9 in the Bill reflected on the primary criteria of safety, efficiency, quality and performance for medical devices. There was a global framework in place. On the appointment of registrars or rather multiple registrars he noted that the intention was to have business units with different categories of products. On whether there should be the SAHPRA provincial offices the decision was made to rather have key linkages with stakeholders. Turnaround times for applications for registration would best be covered in regulations and guidelines. The rationale was that timelines could change all the time. On the closer monitoring of generic devices the Medicine Act and the Bill did speak to a pricing committee with regard to that. The pricing committee had the responsibility of pricing medical devices in the market place. He agreed that the SAHPRA website could be more interactive. Dr Yogan Pillay, Deputy Director General, NDoH, said the pricing committee regulated the price of medicines. Pseudo generics were not an issue to be dealt with by the SAHPRA. It was something that the pricing committee should look at. The Chairperson thanked the NDoH for its responses to inputs made by the provinces. Dr Loots said she would work with the NDoH legal drafting teams to make the necessary technical changes and other amendments to the Bill. This meant that there would be a new C-version of the Bill. Mr Khawula said that provinces like KwaZulu-Natal and North West had brought up issues of African traditional medicine needing to be represented on the SAHPRA Board. He was aware that the African Traditional Health Practitioners Act of 2007 covered traditional medicine. Ms Matsoso responded that traditional medicine had a Board of its own. There were persons on the SAHPRA Board that represented traditional practises and hence they would have to liase with traditional health practitioners. The Chairperson said the main issue with African Traditional Health Practitioners Act of 2007 was that there were no regulations in place after all this time. A legal adviser from the NDoH stated that regulations would be in place by the end of 2015. The Chairperson said that some of the issues raised by the provinces would be covered by regulations or by guidelines. Inputs from the provinces added value to the Bill. She asked that all responses by the NDoH should be in writing and forwarded to the Committee so that it could be sent to the provinces.